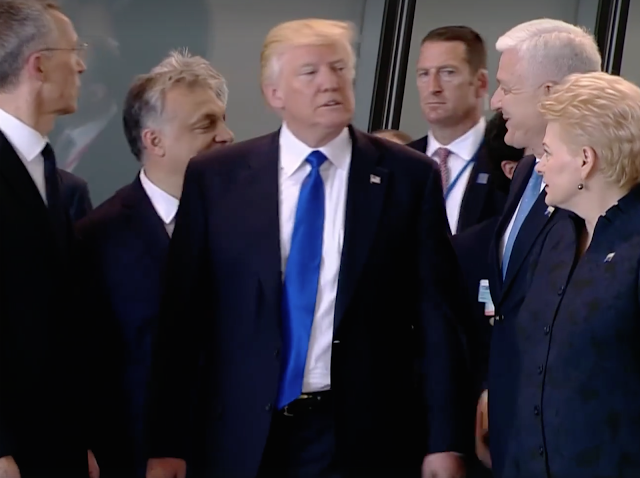 Today, while at NATO Headquarters, Donald Trump shoved his way through a crowd of other heads-of-state. What follows is a partial nonverbal analysis of this incident. 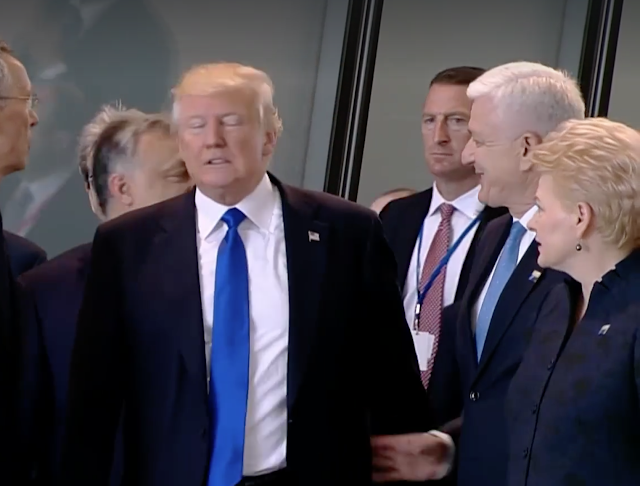 As Donald Trump grabs the upper arm of Montenegro's Prime Minister, Dusko Markovic, Trump's expression is that of Disgust. 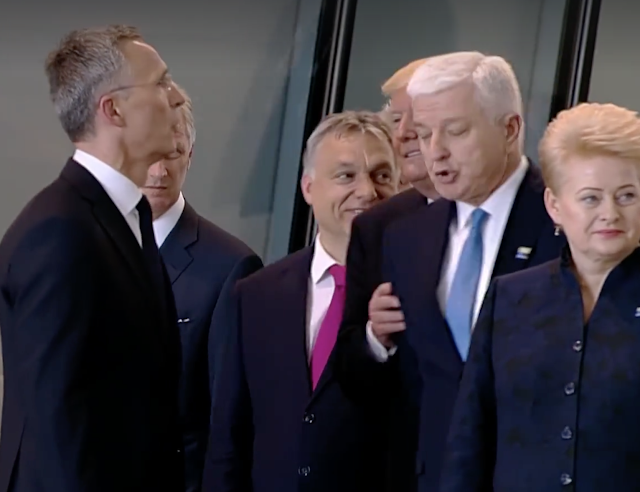 Then as Trump pulls and then pushes Markovic, the Montenegrin is startled while American President's face continues expressing disgust. Not only is this is a dramatic violation of interpersonal (intimate) space, but it's an aggressive physical act, which in most professional contexts would be classified as a form of harassment or even assault. Dusko Markovic managed to respond to Donald Trump's personal space violation by quickly positioning his hand against Trump's lower back. In this moment he's "counter-pushing" Trump away from him. It's an analog behavior of "punching back". 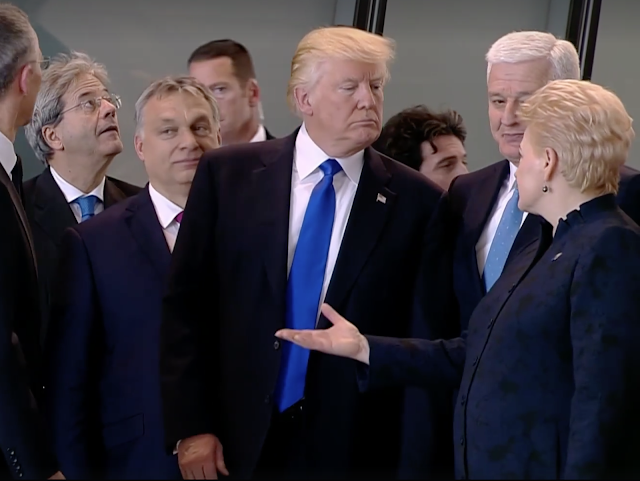 Although it's only a limited, lateral view, Dalia Grybauskaitė's expression (the President of Lithuania) on the far right side of this image can be seen. Her mouth is partially open (slack-jawed) and her forehead and eyebrows are elevated. She's in disbelief. This is an expression of emotional shock and emotional processing. 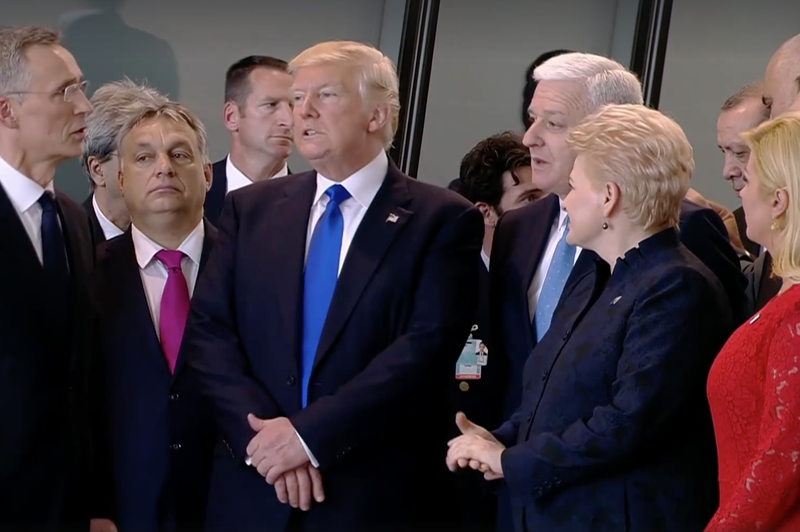 Note how Trump's jaw is jutted forward. This action is significant for the adrenaline surge he's experiencing from pushing his way through a crowd of people. Dalia Grybauskaitė is increasingly shocked. Dusko Markovic is smiling-starting to laugh. 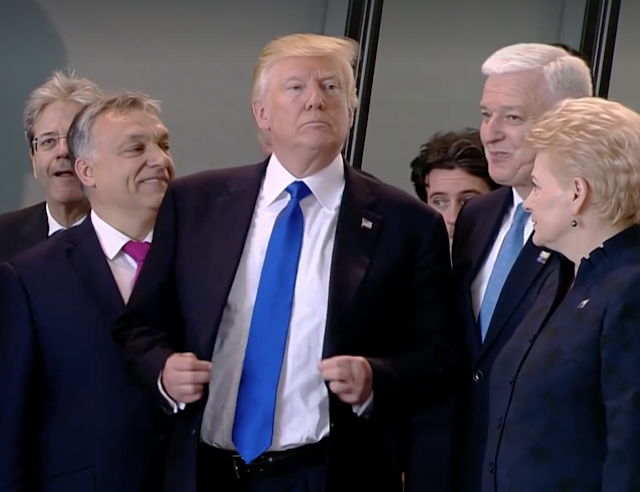 While Dusko Markovic is suppressing simultaneous laughter and disgust, Trump performs a false-adjustment of his suit jacket. It's an example of what is known as an "Alpha-Upregulator". Very much like a gorilla beating his chest, he's affirming to himself and everyone else he is THE alpha - and that he has put them in their collective (beta) places. Although we don't know what she's saying, we see President Dalia Grybauskaitė gesture with her palm-up. This illustrator is, generally speaking, not alpha, but beta behavior. However, depending on the other simultaneous nonverbals and verbals signals - it can be an alpha-beta hybrid. 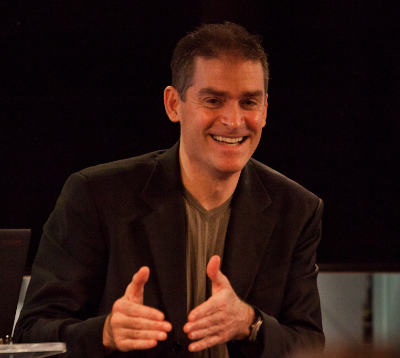 While it may involve an "asking" or a suggestion to "consider" - it's friendly, disarming, and projects a symbolic "please" emotional tone. Thus it's rapport building and engenders diplomacy. President Trump often displays the double palms up - however, he over-uses it in terms of both frequency and in amplitude ('performed' a hyperbolic nature). 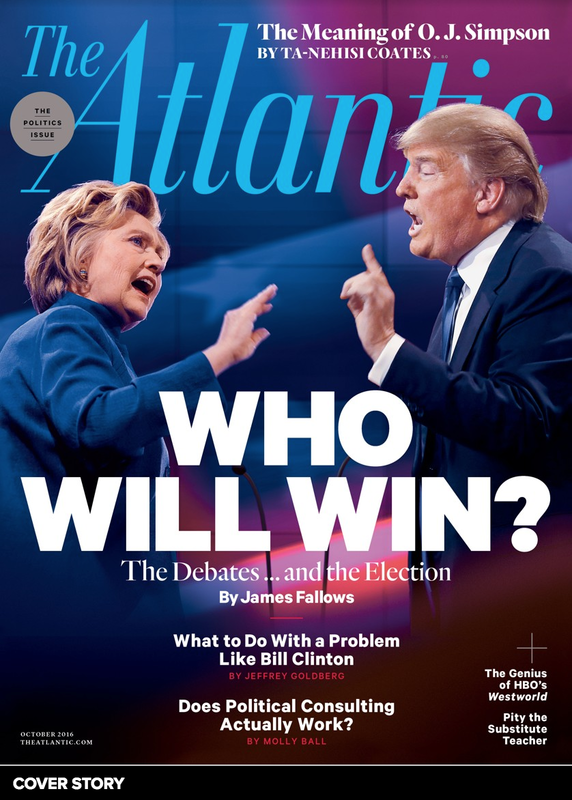 Trump retorts with a palm-down index finger pointing/jabbing. This illustrator is hyper-alpha, hyper-aggressive, and universally offensive in virtually every culture in the World. 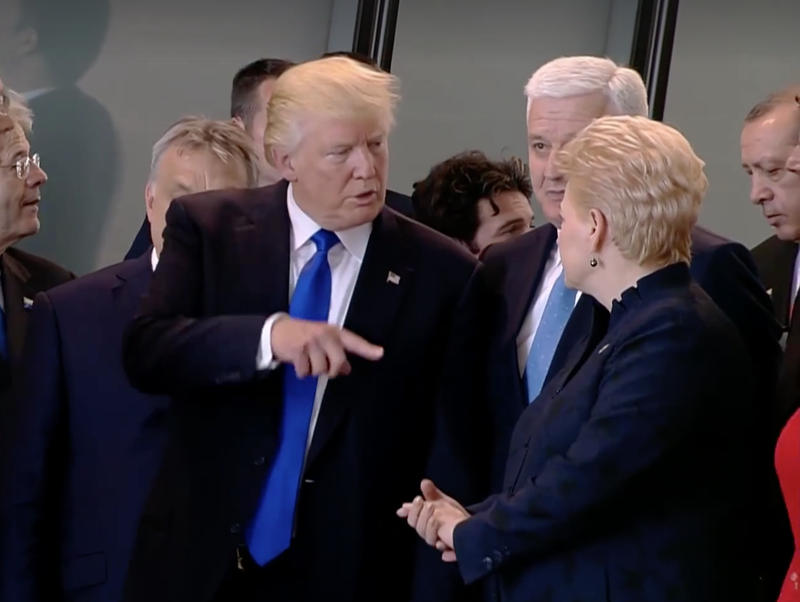 Trump then rotates his torso away from President Grybauskaitė (Dissing/Disrespecting behavior) - but then fluxes downward to a beta emotional state as he configures his hands in a fig-leaf (aka genital guarding) position. A part of his psyche knows he has over-stepped, thus he is (subconsciously and momentarily) down-regulating his aggressiveness. 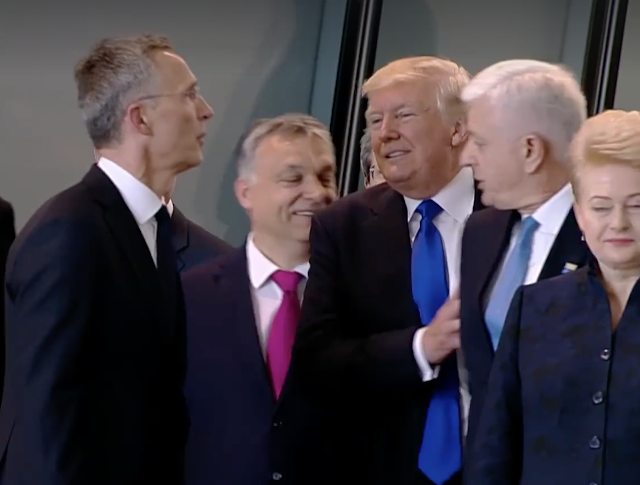 Summary: Donald Trump's shoving and pushing his way through a group of other World leaders at the NATO HQ today is a classic example of "out-of-context" behavior (e.g., This was not a contest, nor was it a platform for physicality). Trump displayed quintessential hyper-alpha body language, violations of interpersonal (intimate) space, and aggressive narcissistic behavior.